Now this is probably something you haven’t heard of before, or if you have you are abit unsure of the idea but what can go wrong? 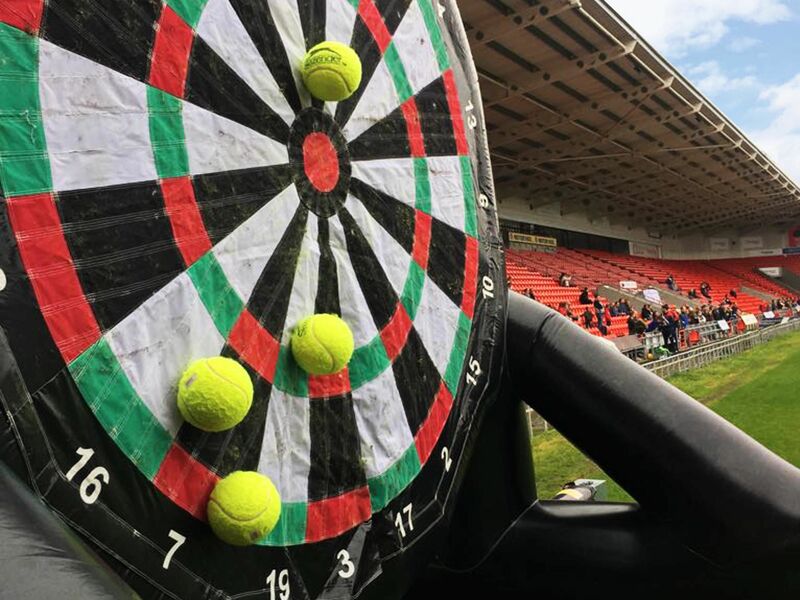 Football darts team building is a fun-filled day out for you and your team by combining two of the nation’s favourite sports into one incredible activity. And if it is the fun factor you are after with your team building event then fun is exactly what you will get with this. Whether your team is a mixed group or not, everybody is bound to enjoy this unusual activity. But what exactly does this activity entail you may be asking. 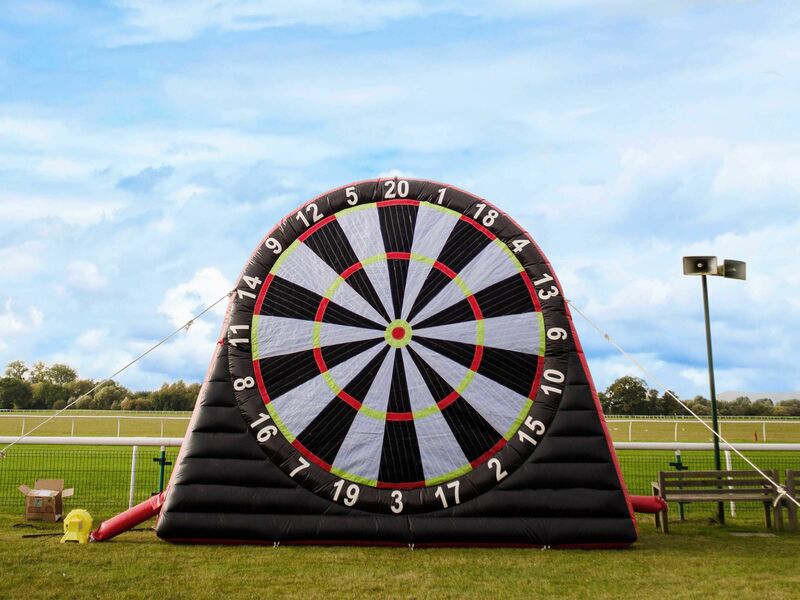 Well, our impressive 11-foot-tall, inflatable darts board is definitely going to catch your team’s attention at first. So once they get over how huge their target is, and they will probably feel a lot more at ease knowing that it is almost impossible to miss the target you will meet your events co-ordinator. They will explain everything that you and your team need to know during your foot darts experience and then it is time for the fun to start. But before we explain what happens, why not make this a multi-sports day by adding some more sports related activities? 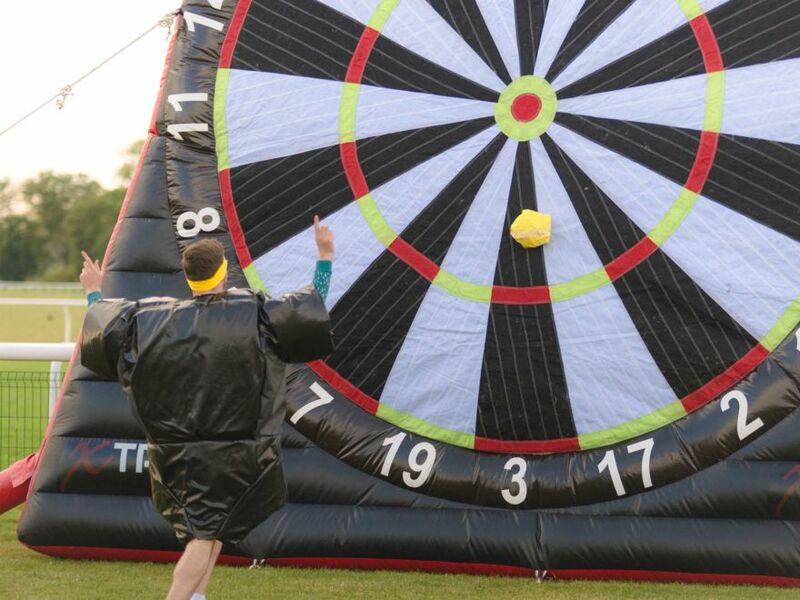 The basic idea of the game is simple; you will try to shoot modified Velcro footballs at the giant inflatable dart board. If you manage to make it stick onto the target, ideally by some numbers, then they will be added up to show your overall score. And the best part about it is that you can almost plan your entire activity as there are plenty of games that you can play such as 501, Round the Clock, Bullseye and plenty more. Or you could all just test your football skills and perfect your aim! And of course no team building activity would be complete without having a winner to bring out everybody’s competitive nature just that bit more.